Honey and lemon are two healthy natural foods that have been combined by many cultures for countless generations. Combining pure, raw honey with fresh lemon juice is a popular weight-loss remedy, although there are many other benefits to be had, including enhancing your digestion. 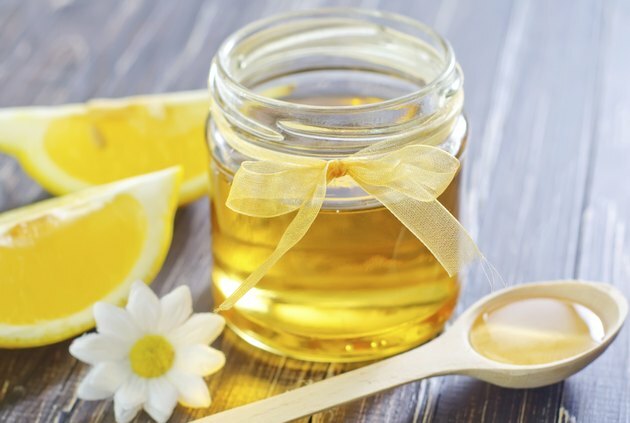 Honey and lemon share some of the same properties that benefit the gastrointestinal system, but they contrast in other ways, especially their sweet and sour tastes. Poor digestion has a variety of causes, but often involves lack of acidity within the stomach. Although physical and chemical digestion of food begins in the mouth, acidic stomach juices are essential to further break down the food before it reaches the small intestine. Stomach infections, which often lead to ulcers, reduce digestive ability and can cause bloating, flatulence and abdominal pain. Intestinal inflammatory conditions, such as Crohn's disease and irritable bowel syndrome, also reduce digestion and absorption while causing abdominal symptoms. Honey and lemon display properties that benefit the entire digestive tract. Lemon juice is very acidic, largely due to the citric acid it contains. The acidity of lemon juice can aid the ability of stomach acid to chemically digest food, which not only provides more nutrients to absorb in your intestines, it also reduces symptoms of indigestion, bloating and heartburn, according to "Biochemistry of Human Nutrition." Lemon juice also displays antimicrobial properties and is a rich source of vitamin C, which combine to reduce the incidence of infections throughout your gastrointestinal tract. Lemon juice also contains calcium, magnesium and potassium. Further, although lemon juice contributes to the acidity of the stomach, it actually has an alkalizing effect on your blood and other tissues, which stimulates immunity and discourages the proliferation of many types of microbes. Honey is also an antimicrobial agent, due mainly to an enzyme that can produce small amounts of hydrogen peroxide, according to "Nutritional Sciences." As such, honey is used effectively to treat minor external cuts, abrasions, scalds and acne, although it maintains the same properties when eaten and can relieve some forms of gastritis. Types of honey differ greatly in their antimicrobial potency, and the Manuka bush of New Zealand is said to produce the most potent, as reported in "Medical Herbalism." In addition, honey displays antioxidant properties that can destroy free radicals that have been linked to tissue deterioration and cancer. Antioxidants contribute to gastrointestinal health by eliminating free radicals, reducing inflammation and chemically altering toxins. Darker honey usually possesses more antioxidant properties than lighter varieties. Honey and lemon both possess antimicrobial and antioxidant properties, and they are good sources of nutrients, although some people find honey too sweet to eat by itself and lemon juice far too sour. A good solution is mixing them together in water, although "Prescription for Nutritional Healing" warns not to use boiling water because it will reduce the aroma, flavor and nutritional value of the honey. A better approach is to use slightly warm water to dissolve the honey before adding lemon juice. The ratios sometimes used are 1 teaspoon of raw honey to 2 teaspoon of lemon juice in an 8-ounce glass of warm water. Honey and lemon can also be added to tea, but the tannins and caffeine in black tea leaves may lead to gastrointestinal upset.